Hope Hair Bows. Adorable pink hair bows. 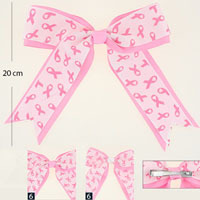 Comes with 6 each with the pink center ribbon, and the white center ribbon.